Uber Arbor provide professional consulting services and are renowned for integrity and attention to detail. With over 15 years experience in both arboriculture and horticulture we are able to cater for jobs of any size and type. General Arboriculture reporting & advice – Looking after the health of the tree, identifying if the tree is hazardous and how best to manage it. Tree Protection/Construction Impact Reports – these can be used in town planning applications to identify whether to remove or retain a tree and how to design or build around it without harming the tree. AS 4970-2009 Protection of Trees on Development Sites. 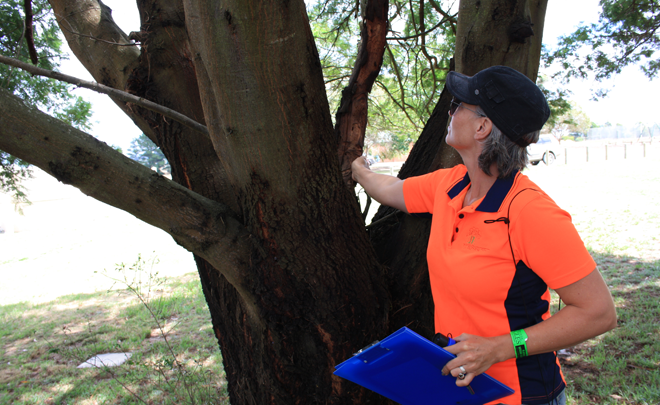 Broad Scale Inventory Tree Assessments – useful when managing large tree populations. A tree inventory aids in managing risk, health and sustainability of the population and allows you to prioritise works and forecast budgets. Vegetation Clearance Assessments – useful for power companies to assess risk of trees and manage that risk. Compliance with ESV legislation and ongoing changes is a valuable aspect of the assessment criteria. Uber Arbor is able to meet all your requirements be it residential, commercial or government. We specialise in school tree risk assessments having assisted over 120 schools to achieve a ‘Safe School Zone’. Click here to view our full list of schools that we have already visited. Uber Arbor has no affiliation with any tree removal/maintenance business. This ensures that our priority is the client and not ad on services. We are however happy to recommend qualified and competent operators in the field should this be required.